Solar panel and project giant First Solar (s FSLR) is looking to take over more than 20 percent of India’s solar panel market by ramping up its plans for project development in India, according to Sujoy Ghosh, First Solar’s head of the Indian market, in an article on Renewable Energy World (written by a Bloomberg reporter). Commercial and industrial building owners in India are increasingly interested in looking into their own solar panel power projects as a way to defend against the wide sweeping grid blackouts of the Summer, and First Solar wants to be the one to build these projects. First Solar has been selling its cadmium-telluride-based solar panels into the Indian market for quite some time. The company first started announcing deals in India for its solar panels in December 2010 and then boosted its sales shipment forecast from 100 MW to around 200 MW for 2011. The company is looking at shipping about 200 MW for at least five projects in 2012, according to an estimate by GTM Research late last year. But a lot of those deals is First Solar acting as a supplier. The company has found a lot of success as a supplier in the Indian solar market partly because of a national Indian rule that says solar panel projects that use traditional silicon-based solar panels in India need to use solar cells made in India. But First Solar’s panels are made from cadmium telluride, not silicon. Because First Solar has such a scale of manufacturing, it is also able to make its solar panels at rock bottom prices, so has been winning over bids on price as well. But the solar cell manufacturing market has been really difficult over the past year, and thanks to the drop in the price of silicon and Chinese subsidies for domestic solar cell makers, solar manufacturers have been struggling. 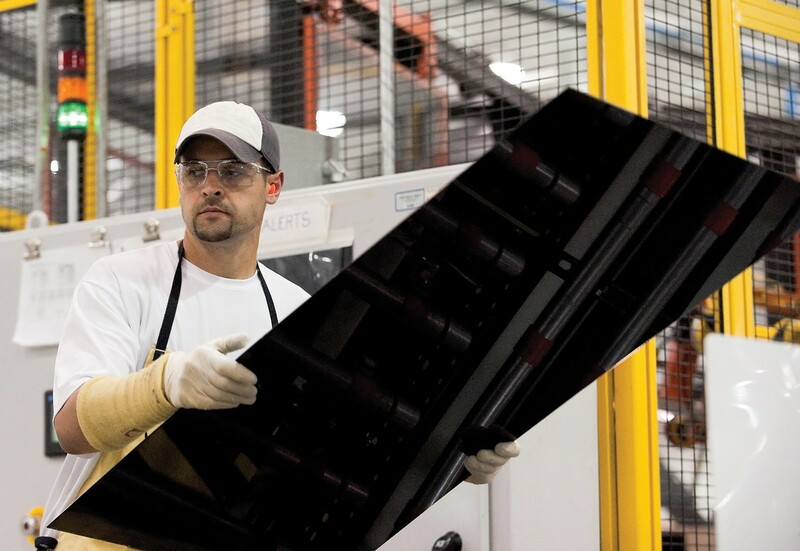 First Solar has emphasized its project development business in recent quarters, as building projects — not just manufacturing cells — is a way First Solar can make a higher margin and remain diversified. Turns out that First Solar’s emphasis on project development coincides quite nicely with India’s growing solar market. “Demand will probably come from industrial and commercial consumers,” said to Ghosh to Bloomberg. When blackouts occur in India, there’s 30 GW of power that businesses and factories switch on in the form of diesel generators, reports the article. First Solar wants to build projects that can replace, and enhance, those diesel generators. Selling straight to these industrial and commercial customers — and not bidding on government contracts — means First Solar can also avoid deals based on Indian government subsidies. Government subsidies can be unpredictable — as they can be changed according to politics — and sometimes the subsidies create unexpected market dynamics. For example, Indian solar project developers say that some of the government solar auctions have led to project deals at such low prices that the companies are losing money on building them. During First Solar’s latest earnings call earlier this month, James Hughes, who became First Solar’s CEO earlier this year, said “We have more investors seeking to buy projects than we have to sell them.” The company generated $957 million in sales for the second quarter, nearly doubling the $532.8 million in sales from the year-ago period, and posted about $111 million in net income. Images courtesy of First Solar.